Spearheaded by Yaman Coskun, a renowned creative talent and founder, Yamanair Creative provides market-exclusive services for radio stations across America. By placing media on radio stations partnered with Yamanair, local businesses are able to access world class creative at no cost to them. Yamanair is fueled by a talent of 31 seasoned writers, producers, sound and graphic designers, video editors, actors and musicians responsible for thousands of successful radio campaigns. Objective – Never having done radio before, Sacramento Hair Doctor came to CBS Sacramento with the thought of test driving radio to brand and build their business. Idea – Yamanair did the homework and isolated what made Sacramento Hair Doctor a unique service. Results – Hair restoration is an expensive procedure and in the first six days they had booked 2 restorations at $10,000 each. The $84,000 radio campaign went on to pay for itself in only two months. Results – 15 new small businesses moved into the Village of Bedford in the first 60 days. Objective – Len was a one man shop. Up to this point his “advertising” had amounted to placing flyers on windshields, He didn’t have much budget so he needed to cut through the noise quickly and efficiently. Idea – Create a branding campaign leveraging the power of sound. 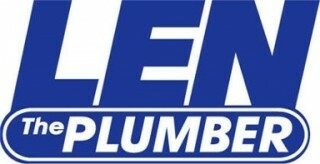 Results – Within one year Len has grown into Baltimore’s biggest plumber. Len now has multiple locations in seven counties, dozens of employees and hundreds of customers.